Sunny Day Games and Videos on Nick Jr.
Watch this special clip from the series Sunny Day, and learn how to get your hair in the festive spirit! In this clip from the series Sunny Day, Dame Tralada is in the salon for a special opera hairstyle ready for her show. Pre-schoolers can help Sunny, Rox and Blair at their salon by styling all their friends! In this Nick Jr dress-up game, kids can colour hair and paint nails. Enjoy this Style File from the Sunny Day series. Follow the steps to create two side braids! Enjoy this Style File from the Sunny Day series. Follow the steps for a special friendship braid! In this clip from the series Sunny Day, Sunny and Doodle show Scratch that they're the best of friends! In this clip from the series Sunny Day, the girls go and visit Princess Dominica and Princess Annabella to attend their royal ball! Follow along with this Style File for a fruity 'do, inspired by the 'When Timmy Gives You Apples' episode from the series Sunny Day. Sunny realises that honesty is the best policy, in this appletastic clip from the series Sunny Day. Looking for a spooky hair style for Halloween? Well look no further and follow along with this Style File from the series Sunny Day. Blair's Halloween pumpkin costume has gone missing! Join the girls and Doodle as they go on the hunt to find it, in this clip from the series Sunny Day! Sunny Day follows a salon owning young entrepreneur named Sunny, and her best friends Blair, Rox and pet pup Doodle. 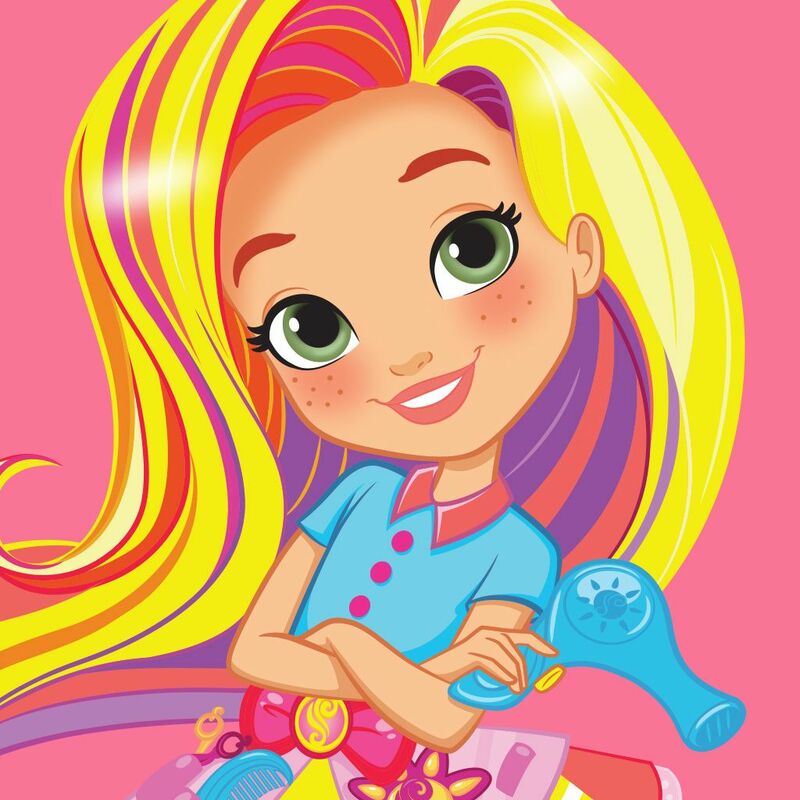 Sunny uses her creativity and can-do attitude to solve any problem that comes her way and can inspire your pre-schooler to celebrate their individuality with her amazing hair styling skills!